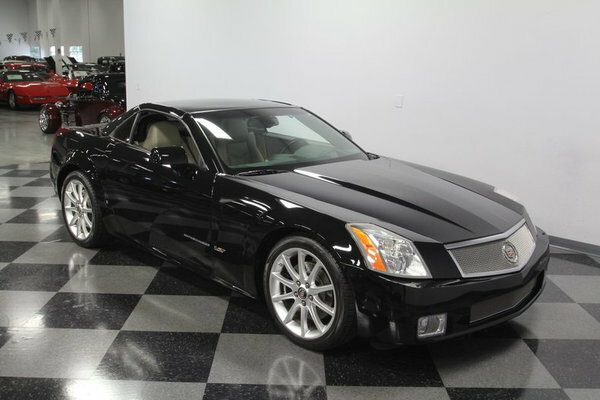 On the shortlist of modern cars that instantly became a classic is this 2006 Cadillac XLR-V. Low productions numbers, hardtop convertible body, and a supercharged V8 come together under America's most prestigious continuous marque. 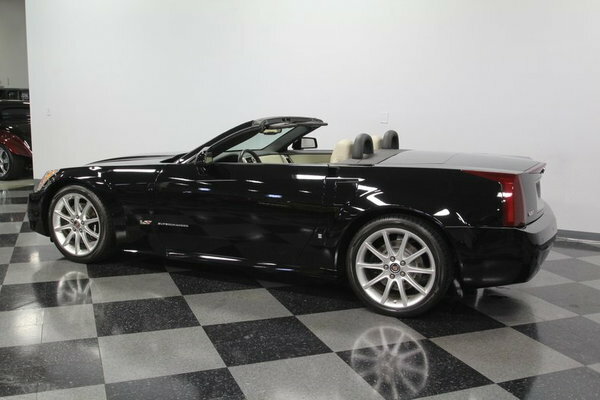 So if you missed your opportunity at it the first time, this low mileage example, with its showroom shine, is the next best thing. 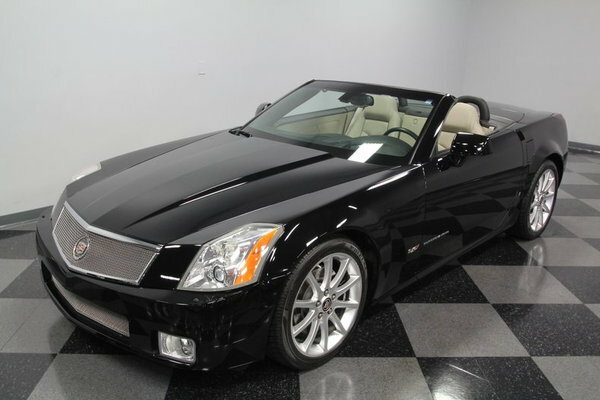 This car costs over $100K when new, and you know exactly the reason why. 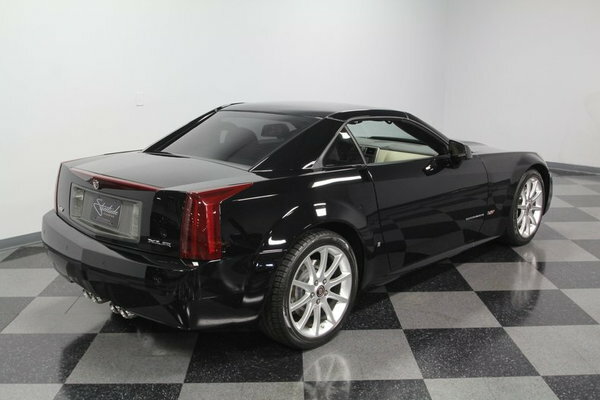 Equal parts Caddy luxury and Corvette performance, the XLR-V was the ultimate expression of a modern American exotic machine. 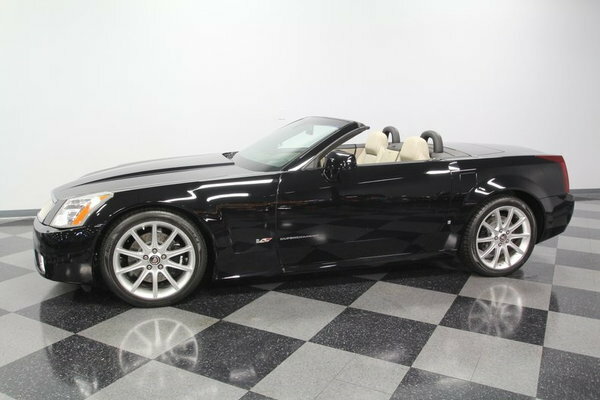 This one is truly setting its sights on the Mercedes SL AMG crowd with a great looking hardtop profile that looks like a sleek coupe with the roof in place. 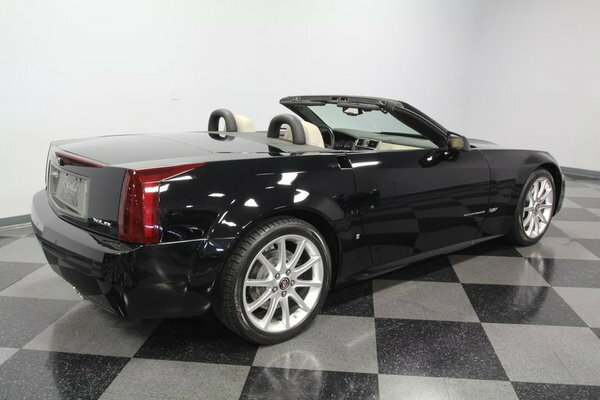 And with the touch of a button, the hardtop disappears to create a wedge profile that you could swear was always meant to be a roadster. 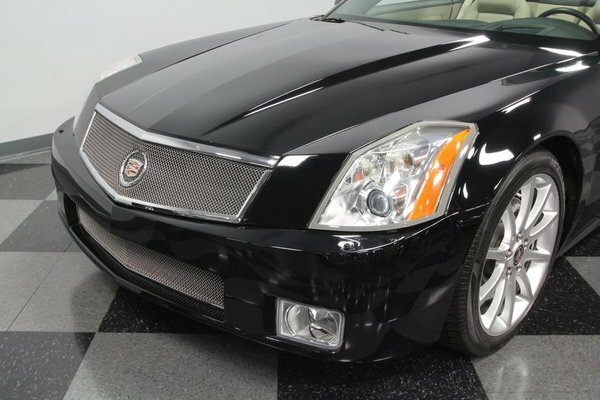 This example has averaged less than 1,100 miles annually, and you can tell it has been babied for all of them. The factory Raven Black paint makes this powerful car look absolutely sinister. 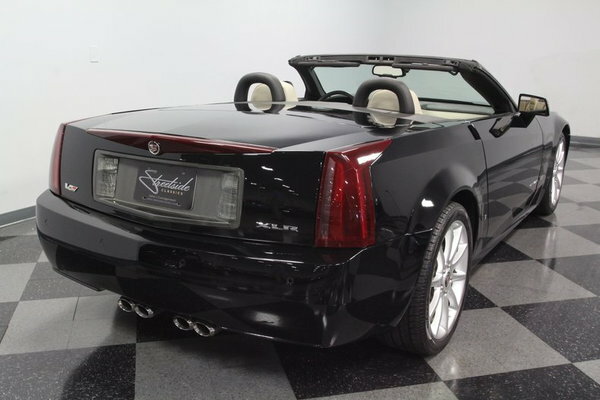 Plus, it really brings out the specific V-sport elements like the mesh grille, quad exhaust tips, and the exclusive 19-inch wheels. Inside, the luxury and performance image continues. 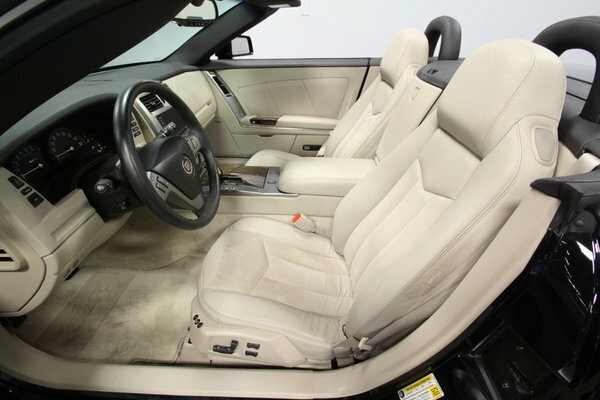 It starts with a terrific set of bucket seats. 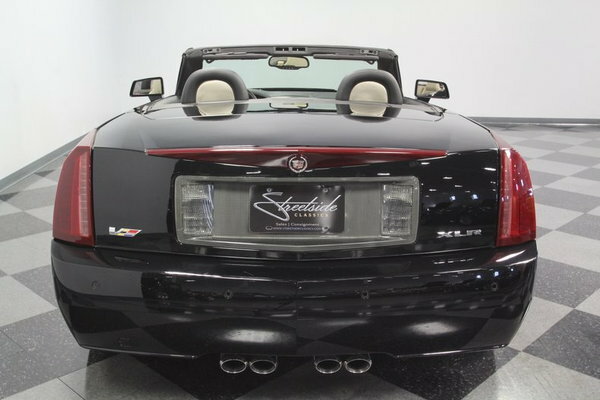 Cadillac was really thinking about its customers, because details like the suede fabric inserts means never having to think about hopping in while wearing shorts. These dual buckets are power adjustable to make sure they strike the perfect balance between all-day comfort and keeping you secure during spirited driving. 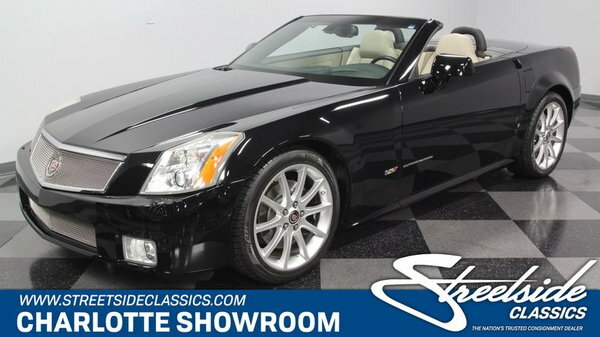 As the top-of-the-line Cadillac this came with all the best features, including real wood trim, key-less entry, key-less ignition, power windows, power locks, power steering, dual front airbags, side airbags, cruise control, and head-up display. The infotainment system controls everything from a sat nav to the AM/FM/CD/XM Bose premium stereo. All your essential controls are at your fingertips right on the leather-wrapped steering wheel. 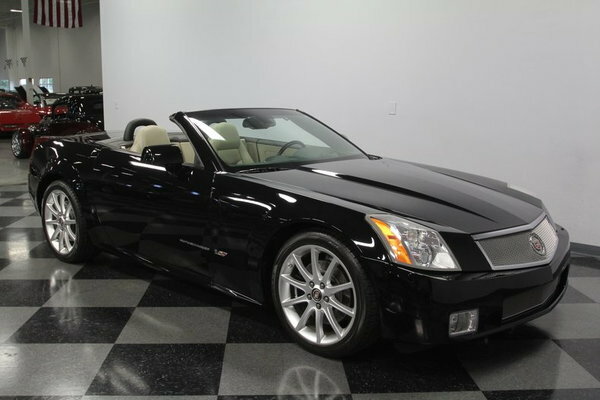 Best of all, the dual zone automatic climate control and heated seats mean you can take the top down nearly any time of year and still stay comfortable. 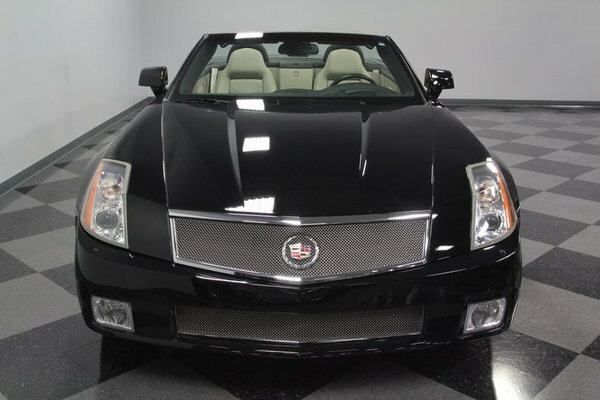 While all of those features make this a great luxury machine, it's what's under the hood that makes it an instant classic. 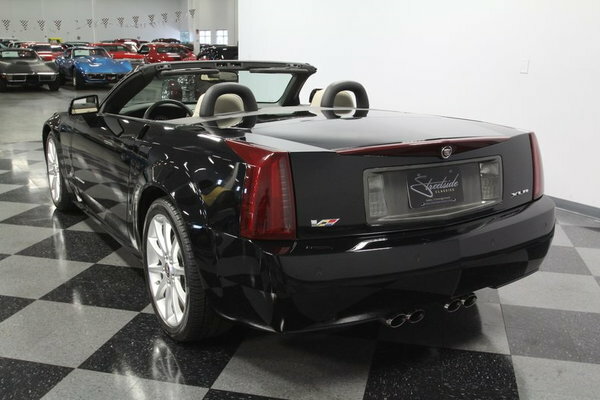 The XLR-V used Cadillac's special Northstar DOHC V8 engine displacing 4.4-liters, and on top is a supercharger that turns this into a 443 hp big power machine. 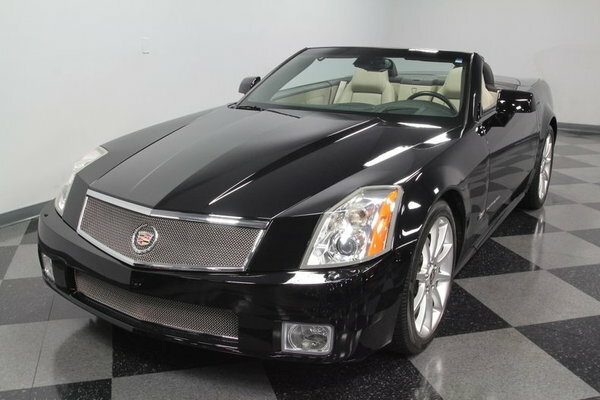 In fact, this was more power than the standard C6 Corvette on sale in '06, and so the luxury Caddy can easily beat its benchmark relative to 60 mph. 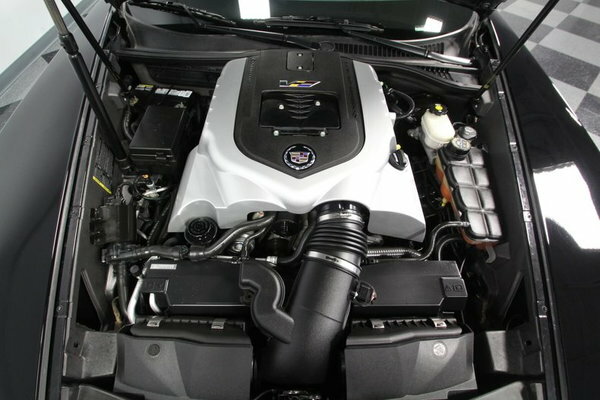 This is the original motor to the car, and so it still gives the silky smooth performance around town that you love from a true Cadillac. 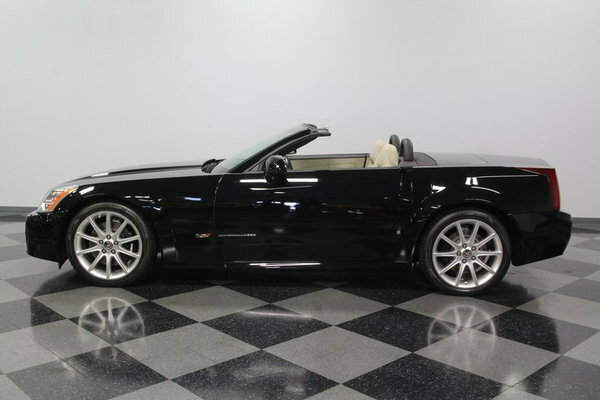 But the moment you want to hit the open road, the six-speed automatic grabs a lower gear, the supercharger instantly comes to life, and the dual exhaust gives a mighty roar. 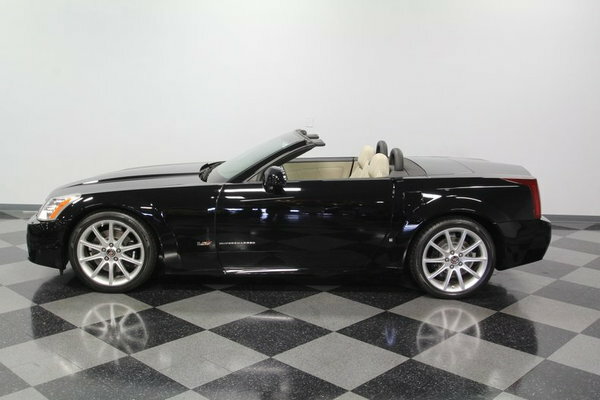 Plus, the Magnetic Ride Control suspension is the same system used by Ferrari, and it adapts to your aggressive nature. 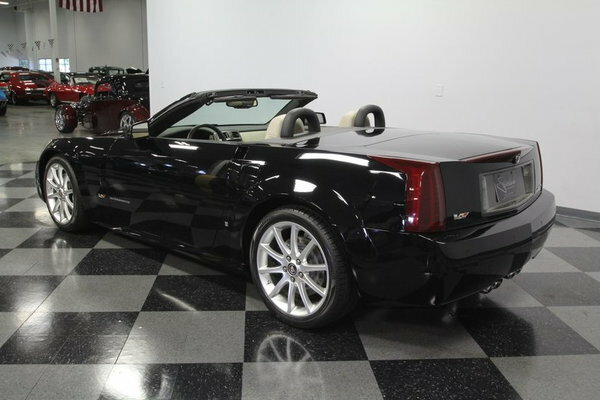 When combined with the vented four-wheel disc brake package w/ABS, this is the truly Cadillac of sports cars. 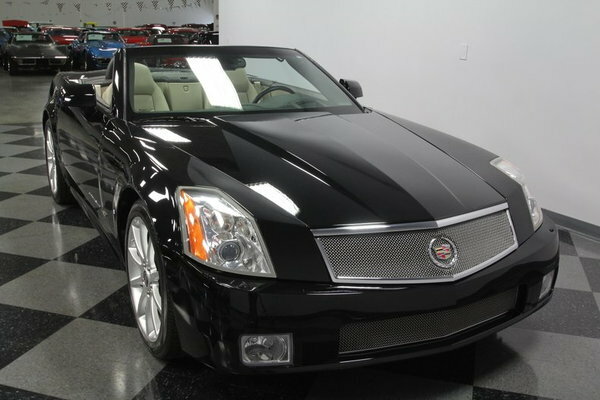 Cadillac barely produced over 2000 XLR-Vs during the entire production run. So you have speed, rarity, and beauty in a package that's far below the original window sticker (and that window sticker comes with the sale to prove this!) Here's an instant classic that won't wait around long. Call now!